Canada's Red Coated Police, the RCMP, are increasingly looking like group of bumbling idiots while the country begins to ask if a serial killer is stalking civil servants responsible for Water War Crimes. There are now eighteen deaths associated with these crimes. Since he was appointed Commissioner on July 16, 2007, Commissioner Elliott has been on the receiving end of numerous requests from British Columbia lawyer, John Carten, that the RCMP carry out a full investigation of the Water War Crimes. Packages of documents proving criminal activity by insiders have been sent to the embattled Commissioner who is now in the middle of what the Canadian media is calling a mutiny by senior staff at RCMP Headquarters in Ottawa. 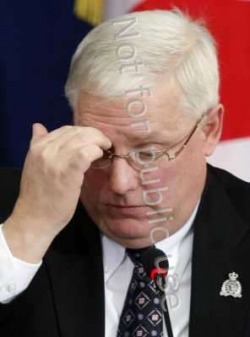 Elliott who joined the RCMP from the ranks of the Canadian civil service is suspected of deliberately blocking investigations in order to protect the civil servants and politicians who he worked with from 1988 to 2007 when many of the crimes took place. Since Elliott took over, 24 persons who are linked to the Water War Crimes have died, (two others died before Elliott took over) many in circumstances that suggest murder. In April 2010, Deputy Attorney General, John Sims, (shown left) a former colleague of Elliott in Canada's civil service suddenly quit his very senior long term position, without explanation, immediately after former Water War Crimes insider and civil servant Jack Ebbels died from a suspicious heart attack (February 25, 2010) murder. Some suspect the Deputy Attorney General Sims left out of fear he could be next victim. Canadian Prime Minister, Stephen Harper, (shown right) disturbed with what the Canadian media have now called a mutiny in the senior ranks of the RCMP, quickly appointed Canada's former top spy Reid Morden to quell the spiraling mutiny that is "officially" blamed on Commissioner Elliott's abusive management style but what others regard as evidence to Elliott's weakening mental state. 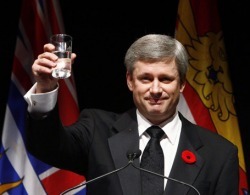 Harper's office has been fully briefed on the Water War Crimes. Morden does not come to the job without baggage. He would have also likely been aware of the subsequent attempted cover up both in Ottawa and Victoria, the Provincial Capital of British Columbia where many of the crimes took place. In fulfillment of the prophecy made in e-mails to Prime Minister Harper, on May 6, 2010, Glen Shortliffe, the former Clerk of the Privy Council who was in charge of Canada's civil service from 1988 to 1994 when many of the Water War Crimes took place died from what his obituary called "an unexpected sudden heart attack". It is probable that Morden, Shortliffe, Elliott, and Sims would have worked together from 1998 to 1994 on several projects including the Water War Crimes. Shortliffe was a key witness and the unidentified Water War Crimes insiders would have wanted him dead. 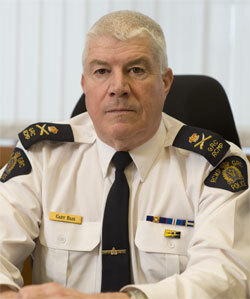 On Canada's West Coast, complaints have now with the respective Complaints Commissions that both the RCMP under the direction of Gary Bass (shown right), and Victoria City Police under direction of former RCMP officer Jamie Graham, have refused to carry out an investigation of alleged criminal activity by British Columbia lawyer, Joanne Platt, who according to sworn affidavits by independent witnesses, was observed attempting to secretly and improperly influence a justice during a trial where Water War Crimes lawyer John Carten was on trial for attempting to persuade a government employee to co-operate with a police investigation. The failure of the RCMP to investigate and prosecute the Water War Crimes insiders goes back to the time when the RCMP was under the direction of Commissioner Zacardelli (shown left top). Some suspect that then Canadian Prime Minister Jean Chretien (shown left bottom) promoted Zacardelli to the position Commissioner as a reward for Zacardelli agreeing to protect Chretien who allegedly had an undisclosed interest in W.C.W Western Canada Water Enterprises Ltd., the company that through, illegal means, secured a monopoly over bulk water exports to the USA but collapsed into bankruptcy two years later. 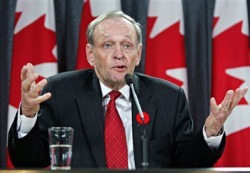 Zacardelli, was then in charge of the organized crime unit within the RCMP when Chretien promoted him to the top job. In both capacities, he did nothing and the surviving Water War Criminals remain at large. However, due to a policing failure there are now 24 dead and some of those appear to have been murdered. 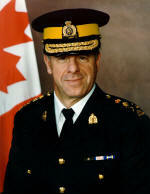 The RCMP, under Commissioners Zacardelli and Elliott, and the Victoria City Police led by former RCMP Officer, Jamie Graham, have consistently stonewalled all attempts to have the Water War Crimes investigated and now twenty four insiders are dead leading observers to ask whether or not a serial killer is stalking Canadian civil servants and judges who participated in the Water War Crimes. 2. Justice James Taylor cooked decision against Mr. Carten, October 2001, sudden death, alleged heart attack, January 2006. 3. 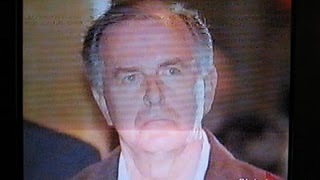 Judge Sid Clark crooked decision against Mr. Carten, June 1998, death 2007, cause unknown. 4. Justice Robert Edwards crooked activities while Deputy Attorney General and crooked decision against Mr. Carten, May 1996, sudden death by heart attack, November 5, 2007. 5. Chief Justice Antonio Lamer part of cover up and crooked decisions at Judicial Council against Mr. Carten and Ms Gibbs, 1998 -99, quick death following Robert Edwards in November 2007. 6. Chief Justice Alan McEachern Don of judicial mafia in B.C., cover up at Judicial Council against Mr. Carten and Ms Gibbs, 1998-2001, death January, 2008. 7. Justice Raplh Hutchinson, crooked decision 1997 against Ms. Gibbs, sudden death March, 2008. 8. Mr. Stan Hagen, crooked activities against Sun Belt water - 1991 - and against Mr. Carten 2005 -2008, sudden death by heart attack January 2009. 9. 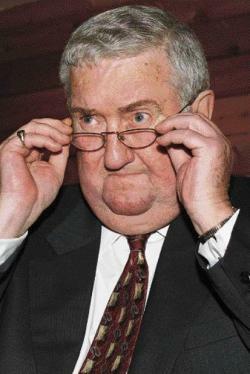 Chief Judge Hugh Stansfield - instigator of malicious prosecution of Mr. Carten 2008, sudden death May, 2009. 10. 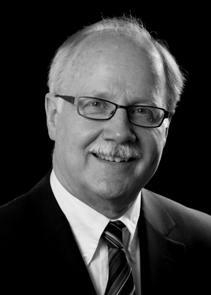 Justice David Vickers - part of judicial mafia against Mr. Carten 1996, dead November, 2009. 11. Justice John Bouck crooked decisions against Carten's client Sun Belt Water 1997, dead January 2010. 12. ,Jack Ebbels - former senior civil servant - crooked activities relating to water exports 1988 to 1991, sudden death by heart attack February 2010. 13. Glen Shortliffe - Privy Council 1988 to 1992 knowledgeable of water war crimes, sudden death by unexpected heart attack May 2010. 14. Mario Lague, Privy Council 1998 to 2003, former advisor to Quebec Premier Bourassa who supported bulk water exports then top advisor to Prime Ministers Chretien and Martin and Liberal Opposition leader Ignatieff, death by suspicions motorcycle accident, August 12, 2010. 15. Senator Norm Aitkins, Appointed ot Canada's Senate in 1985. 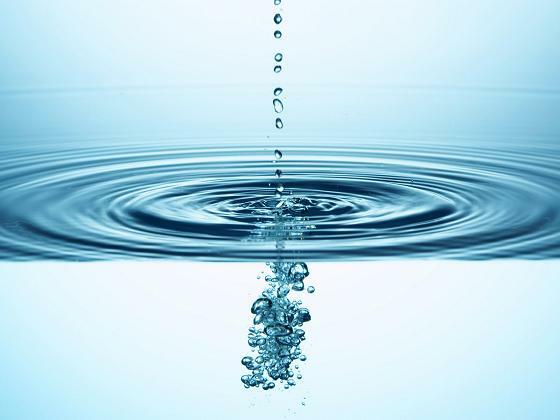 Linked to insiders involved in Water War Crimes. Death due to heart problems, September 2010. 16. 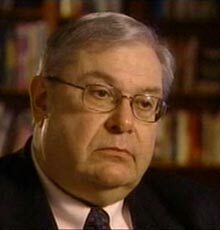 Maurice Foster, a long time Liberal Party insider and special advisor to Prime Minister Jean Chretien during key years in Water War Crimes 1995 to 2001. Death allegedly due to illness October 10, 2010. 17.﻿ Jack Hooper,﻿ retired former associate director of Canadian Security and Intelligence Service. Died from suddenly heart attack at age 57 October 2010. 18. David Lam, retired Lieutenant Governor of British Columbia, signed illegal Orders-in-Council. Died November 22, 2010. Click here to go to Graveyard of the Guilty for more information and identity of remaining dead insiders. The Kim Campbell Gang (shown above ) was formed in the early 1990's and attempted to take over the Government of Canada. Kim Campbell (shown far left above) was assisted by political organizer Patrick Kinsella, (shown on Campbell's right), the lawyer Lyall Knott (to the right of Kinsella), the strategist Allan Gregg, (to the right of Knott), present Justice Minister Rob Nicholson (to the right of Gregg) and a few others not disclosed here. Allan Gregg was a director and shareholder of W.C.W. 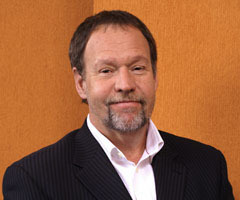 Western Canada Water Enterprises Ltd., Patrick Kinsella was an advisor to the company and Lyall Knott was one of its many lawyers. After he won the election and she lost, Prime Minister Jean Chretien appointed former Prime Minister Kim Campbell to be Canada's Consul General in Los Angeles presumably because both Campbell and Chretien had an interest on covering up who might have been involved in the Water War Crimes. Reid Morden (far right) as Deputy Minister of Foreign Affairs for Canada from 1991 to 1994 was, arguably, a key player in the Kim Campbell Gang. So, the question that observers are asking is whether or not Reid Morden has been assigned to the RCMP by Prime Minister Harper in order to continue the cover up of the Water War Crimes. I am writing in respect of issues that may be germane to staff complaints from within the RCMP concerning the management style of Commissioner William Elliott. 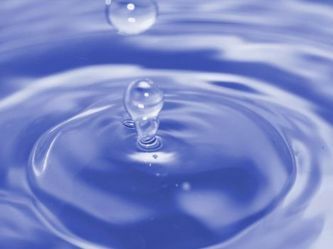 In my opinion, Commissioner Elliott is in a very difficult situation due to the Water War Crimes and the exposure those crimes are now receiving worldwide on our web sites http://www.waterwarcrimes.com and http://waterwarcrimes.blogspot.com In my opinion, Mr. Elliott and his staff have delayed the diligent investigation of my complaints thereby contributing to the early deaths of possibly 12 persons whom we identify as insiders in the Water War Crimes. The senior staff at the RCMP know this. They and Mr. Elliott should be ashamed of themselves. There has been an ongoing criminal conspiracy that they have assisted through non-feasance in office. We have now added a sub page about you and your probable knowledge of some of the Water War Crimes issues due to your past role as Director of CSIS and Deputy Minister of Foreign Affairs which are sub pages to the RCMP page. Please review our comments and, if you believe anything is inaccurate or unfair, feel free to contact me expressing your concerns. 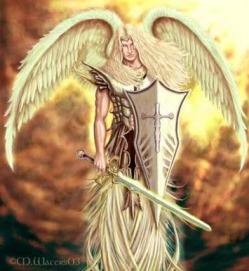 We do not wish to unfairly or incorrectly defame anyone, including yourself. 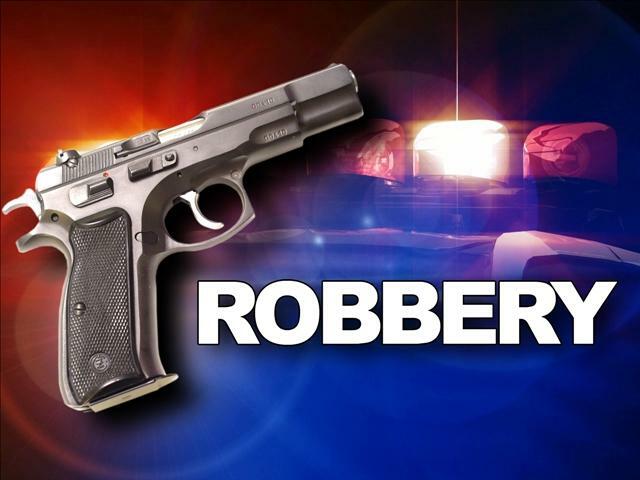 I am greatly concerned that several people have dropped dead as we exposed their crimes and that some appear to have been murdered based on the timing and the manner of their sudden deaths. 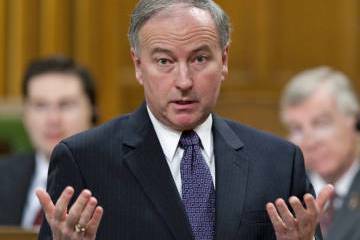 I warned Prime Minister Harper and Justice Minister Nicholson that this would happen on at least two occasions. They ignored me. It is unfortunate we had to expose these crimes to obtain redress because we had tried, very hard, to resolve matters out of court and, unfortunately, what was little more than a commercial dispute where liability was generally acknowledged, i.e. the Sun Belt claim, has now led to, in my estimation, 13 premature deaths and a greater number of destroyed careers. John Frederick Carten, B.A., L.L.B.